At AquaTek, your San Francisco and San Jose area plumbers, we strive to supply you with nothing but the highest quality repiping services. You may be considering a repiping of your residential property. This brings up many common questions. We have tried answer many of these questions below, but always invite you to call us with any inquiries you may have. At AquaTek, we install only the finest quality materials in your home. Our piping is type (L), copper – commercial grade. Although there are thinner and thicker grades of pipe available, it is our professional opinion that this is the best pipe for your home. Also included are Pex piping (polyethylene cross-link tubing), PVC, CPVC, and any other pre-approved materials specified in our original estimate. The solder we use to sweat the copper pipe together is lead-free and comprised of 95% tin and 5% alloys. Ball valves operate on a quarter turn. Because these valves are made of brass and stainless steel, they will give you many years of operation. After pipe installation and inspection by a city inspector, the sheetrock and stucco will be replaced by our crew to a textured surface, unless texture is painting process. Painting and wallpaper repairs are to be performed by others. Unless otherwise noted on our estimate sheet, all domestic piping will be replaced from where water main enters the home to all fixtures. Where Smitty remodeling plates are used on showers and tub/showers, existing risers will be reused to eliminate wall and tile damage. All warranties apply. We suggest that the water main be replaced from the meter to the house. If it is of galvanized steel, AquaTek will dig and back fill to a finished grade. Shrubbery is excluded unless otherwise noted on the estimate. We suggest either sch 40 PVC plastic, or type (L) copper water main. In both cases, a long life is guaranteed. All manifold piping below floor is suspended by Teflon straps, copper straps, and Teflon coated hangers. As piping penetrates floor plates, this is known as raisers. They will be replaced in the same manner. Pipe to wood contact, in our professional view, is considered to be less than good craftsmanship. Due to expansion and contraction of pipe, if it comes into contact with the wood, the new piping system will be noisy, and often squeak. For this reason, the raisers and manifold will be suspended from the structure. Angle stops, which are shut offs for each fixture, will be placed with Brasscraft units. All supply tubes that hook up to fixtures from the angle stops will be replaced with braided stainless steel. The existing fixtures and flex lines are not replaced unless noted on the estimate. Because your entire home is being repiped, it is not considered to be a “repair”. The city or county that you reside in will require that a permit be issued. A representative of AquaTek will stand the inspection when the piping has been completed. Permits are to be charged as extra (in addition to the contract total) . The fee is actual cost plus a $140.00 administrative fee to acquire the permit (waiting time, etc.). However, you the property owner reserve the right to acquire your own permit and list AquaTek Plumbing, Inc. as the contractor on the permit application in order to eliminate this cost. As a licensed and bonded company, AquaTek Plumbing, Inc. does not require the homeowner to be home during the entire course of the repipe. Access in and out of the home is all that is necessary. Hot water recirculation systems are available from AquaTek. These systems are an outstanding amenity to the home. They supply hot water instantly throughout the home. Our systems utilize the Grunfos 1518-SU pump and timer, attached to a fully insulated water and recirculation pipe manifold. If there is not an electrical plug within 3 feet of the recirculation pump, one will need to be installed by an electrician at the home owner’s expense. This unit can be turned on and off by setting the timer to the style of your living conditions. The warranty begins on the date of final payment of the contract. AquaTek Plumbing, Inc. guarantees against defects of workmanship for (10) years on all copper water piping that we supply and install. A one-year warranty is given on all valves, pumps and fixtures that we supply. Materials and workmanship are included. Warranty is valid provided that failure occurs within (10) years from the date the warranty begins and the homeowner or homeowner representative promptly notifies AquaTek Plumbing, Inc. of failure in writing. We will correct that failure by repairing or replacing the Product within a reasonable amount of time, without charge. The decision for repair or replacement shall be that of AquaTek Plumbing, Inc.
Failure of fixtures that were present at the time of the project and/or that we did not both supply and install. Failure caused by, contributed in whole or in part by, or resulting from, natural disasters, such as, without limitation, flooding, earthquake, windstorm and lightening. Failure caused by, contributed in whole or in part by, or resulting from abuse, such as, without limitation vandalism. Need More Plumbing Questions Answered? 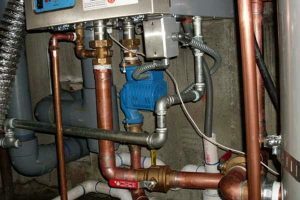 We understand that you may still have more questions or that you may have questions about plumbing services other than residential repiping in the San Francisco and San Francisco Bay areas. For more information view our full scope of San Jose and Bay Area Plumbing Services on this site or contact us now.